Eurostar staff are planning strike action at the end of this month over 'service meltdown and shocking working conditions'. Rail union RMT confirmed said station staff at St Pancras, along with Eurostar train managers, will strike for 48 hours on Sunday September 30 and Monday October 1. The union said workers are in a dispute with management over 'shocking and dangerous working conditions resulting from repeated service failures and breakdowns'. The union claims the international terminal at St Pancras was 'reduced to chaos' over the summer following a spate of service problems, with staff left to bear the brunt of public anger. RMT general secretary Mick Cash said: "The conditions at St Pancras have been simply appalling over the summer with dangerous levels of overcrowding on the concourse as services plunge into meltdown on the cusp of the busiest part of the year. RMT will not tolerate a position where our members are left to pick up the pieces due to corporate failures. "Eurostar train managers are now joining this dispute after a recent ballot and will also be striking alongside their station staff colleagues. "The union remains available for genuine and serious talks that will bring about guarantees to resolve the situation." 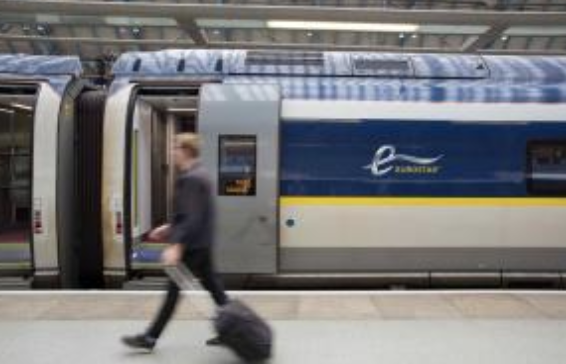 It added that workers at the French end of the Eurostar operation have also registered their 'disgust' and have taken action in an attempt to force the company to act. A spokesman for Eurostar said the company was aware of the planned strikes and is disappointed the action is planned. "We are meeting with the RMT next week to discuss this further and hope to find a solution," he added. ...help reduce customer overcrowding at peak times? Unless, of course, it stops people travelling.